Williams is actually a convicted felon and ex-con who fathered five children by the age of 21 and has been sued by state officials for failing to pay child support. He was released last year from state prison, has been busted for passing bad checks, repeatedly violated probation, and copped to the frequent use of marijuana (which he began smoking at age nine). Instead, as Jones spins it, Williams is further proof of the Clinton Gang’s perfidy and “demonic” ways. With Jones’s guidance, Williams asserted that he believed Hillary Clinton was primarily responsible for “banishing” him from contact with the man he believes to be his father. Williams, you see, simply wants to meet his Dad and his half-sister Chelsea. And, of course, he would like to introduce his brood to their paternal grandfather. To make this tale of familial longing more palatable, Jones has sought to characterize Williams’s motives as pure (and not the cynical posturing of someone thirsty for a payday). Jones has also avoided mentioning to his rabid followers that Williams attended last year’s Million Man March and supports the Black Lives Matter movement. 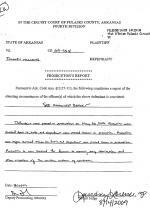 However, a review of Arkansas court and prison documents reveals that claim to be false. Williams, seen in the above mug shots, has been arrested on numerous occasions. Most recently, he spent more than seven months in custody in connection with a conviction for passing bad checks and violating parole. 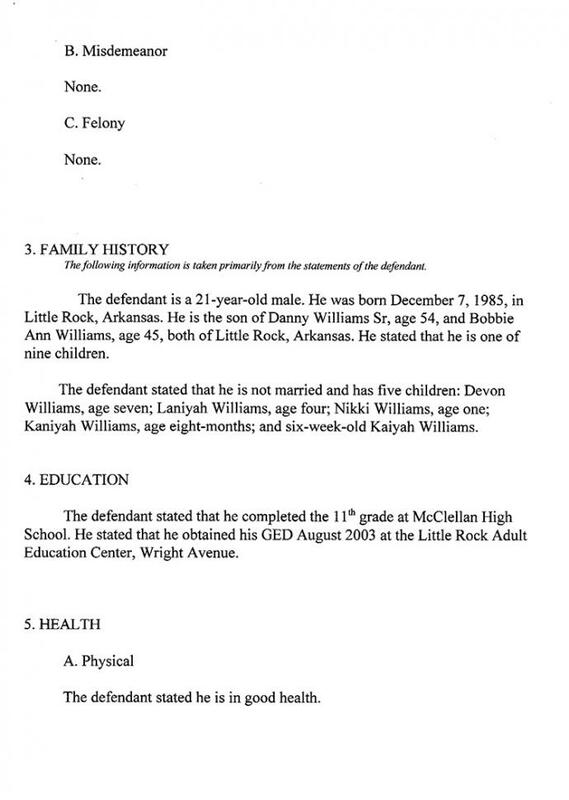 Williams was released from prison in May 2015, according to Arkansas Department of Corrections records. As detailed in Circuit Court filings, Williams pleaded guilty in 2005 to stealing a Cadillac that was parked in front of the owner’s Little Rock residence (the keys to the vehicle had been swiped during a burglary the prior day). 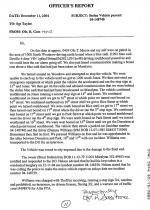 While boosting the Cadillac, Williams somehow set off the vehicle’s alarm, prompting the owner to dial 911. 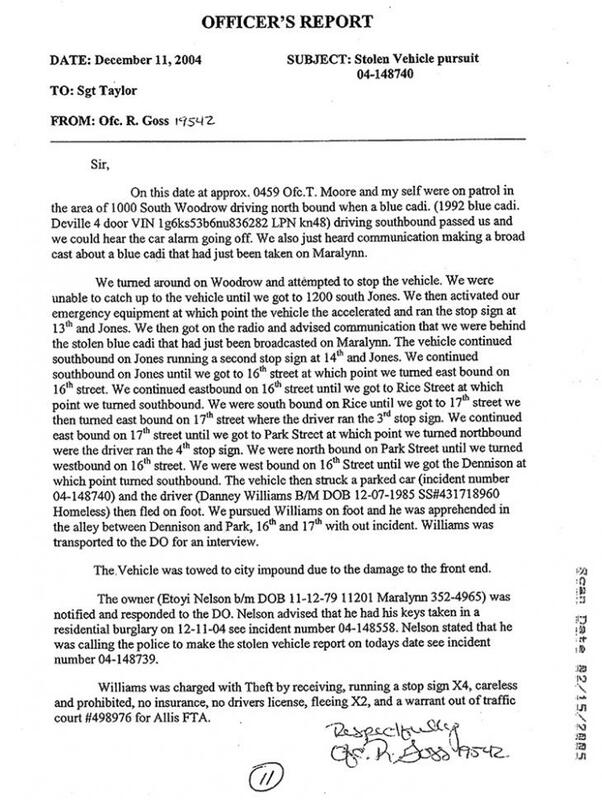 During a subsequent police chase, Williams crashed the car and fled from the Cadillac. 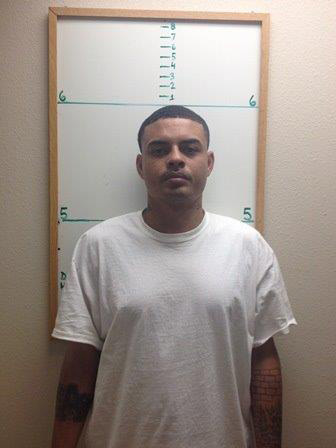 He was apprehended by cops after a short foot chase. Williams pleaded guilty to a pair of felony charges and was sentenced to five years probation and 50 hours of community service. He was also ordered to pay $4500 restitution, a $500 fine, and court costs. 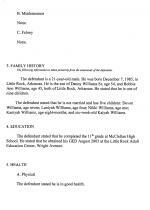 During the following years, Williams’s probation was revoked three separate times (in 2006, 2007, and 2009). 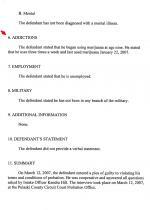 In each instance, he pleaded guilty to violating terms of his release. Williams, court records show, repeatedly failed to report to his probation officer, did not pay restitution, and failed to complete his community service obligation. 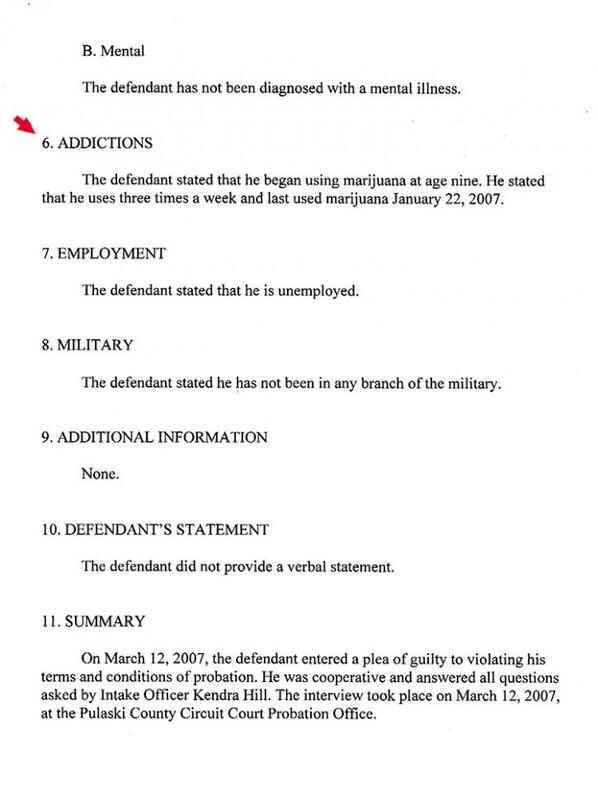 Additionally, he did not complete a drug treatment program, which was ordered after his first probation revocation. After being given multiple second chances, Williams was incarcerated for more than six months (he was released from state prison in late-February 2010). The probation report also noted that the unemployed Williams was the unmarried father of five children, including a one-year-old, an eight-month-old girl, and a six-week-old girl. Williams, whose rap sheet includes several vehicular arrests, was busted in 2011 on a misdemeanor hot check charge (for which he pleaded guilty and was ordered to pay restitution). 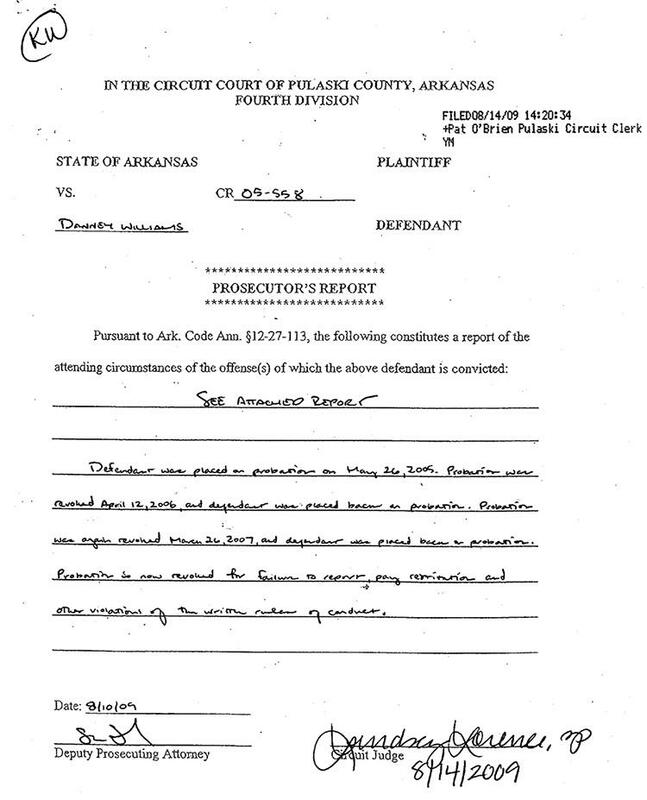 After failing to make good on the bad check, Williams was arrested in September 2014 on a contempt charge. He subsequently pleaded guilty and was sentenced for the misdemeanor count and a parole violation rap. Williams served more than seven months in custody, time split between a county jail and the Arkansas state prison system. He was freed from custody in late-May 2015. Within a few months of his release, Williams aggressively began marketing himself as Bill Clinton’s illegitimate offspring. He opened a Twitter account that declared, “I'm the son of the 42nd President of the United States- Bill Clinton.” Tweets to his 13,200 followers include the hashtags #ClintonKid or #BillClintonSon. 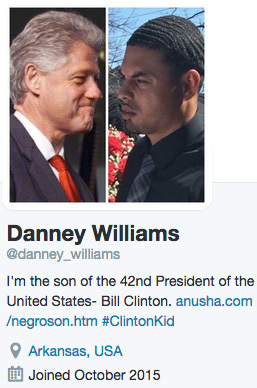 Williams also started a Facebook page, which lists his name as “Danney Williams-Clinton” and contains photo comparisons of him and Clinton.